The Spanish Language Division (SPD) is the American Translators Association (ATA)’s largest division. With over 4,000 members around the world, we help the world to connect in Spanish. If you are already a member of the ATA, simply join us! If you would like to become a member, join the ATA first and then select the Spanish Language Division in your membership application form. We welcome everybody interested in professionally communicating in or from Spanish with the world. 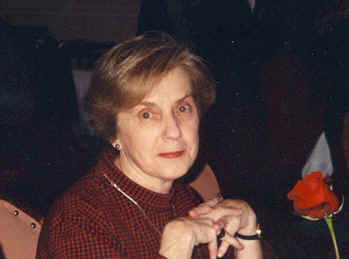 During the 1996 ATA Annual Conference in Colorado Springs, a group of six Spanish translators (Sylvia Korwek, Alicia Marshall, Susana Stettri Sawrey, Yrma Villarreal, Angela Torres Henrick and Olga Roberts) approached Ann Macfarlane, chair of the Divisions Committee, to find ways to formally propose to the the ATA Board the formation of the Spanish Language Division (SPD). Though the creation of the SPD had been considered before by ATA Spanish translators on different occasions, for some reason it had never succeeded. Following approval of its inception by the ATA Board, our division was born in Colorado Springs and started functioning under a “being established” status, with Sylvia Korwek as the acting coordinator. Membership registration was open with the new ATA Membership drive for 1997, and a search for an Acting Administrator and Acting Assistant Administrator was initiated. In March 1997 Alicia Marshall and Harvie Jordan were appointed to those positions. By the time of the ATA San Francisco Conference in November of 1997, the SPD had grown from 6 initial Spanish translators to over 700 members and had already published two issues of its newsletter, with Pilar Saslow as its Editor. At the SPD annual meeting during the San Francisco ATA Conference, the Division adopted its bylaws and was, thus, formally organized. During the meeting those present selected Intercambios, from among a slate suggested by SPD members, as the name for its newsletter and exchanged ideas and plans for the future. The Division also celebrated, with resounding success, its first annual social event. Since then, it has been a successful chain of events. In 1998, elections were held at the SPD annual meeting during the ATA Conference in Hilton Head, S.C., and Alicia Marshall and Andre Moskowitz were voted as Administrator and Assistant Administrator, respectively, to hold office until the year 2000. Membership has grown to over 1,400. Intercambios, the Division’s excellent newsletter, is published quarterly. Since its inception in 1997, the Division has regularly invited prominent guest speakers to the Annual Conference (Ricardo Naidich, president of the CTPCBA in 1997, Miguel Wald, Editor of Idiomanía in 1998, and in 1999 Alberto Gomez Font, Specialist at the Departamento de Español Urgente of the Spanish News Agency EFE). Two new services were launched in 1999: a publication of some of the Spanish-related papers presented during the Hilton Head Annual Conference and Espalista, the SPD online forum, where SPD members share their expertise and knowledge in an informal environment and with a true spirit of friendship and collaboration. As for the future, among others, plans continue to be formulated to develop a mini SPD conference. The growth of the division is regularly reported in Intercambios and The ATA Chronicle.